What are brag tags? They are tiny little awards that look similar to dog tags. They are used as a classroom management tool and are insanely motivating for student when used consistently. 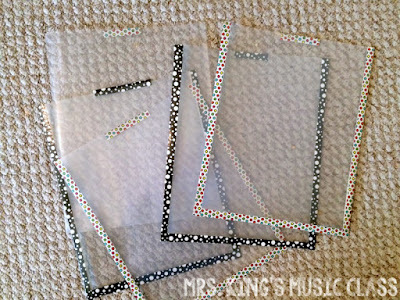 When I used these in my music and computer classes, my entire school was using them as student incentives. 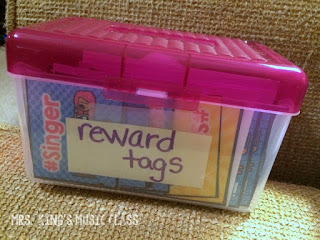 We actually just called them "reward tags" instead of "brag tags" which sounds MUCH cooler! After a year of using this system, administration changed and the incentive system wasn't a top priority. Some teachers continued to use them, others dropped them. 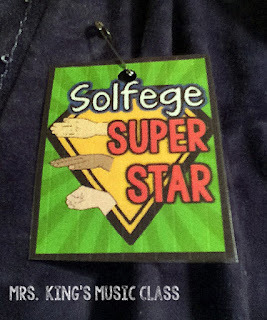 Can brag tags work in special area classes even if classroom teachers don't use them? You bet! 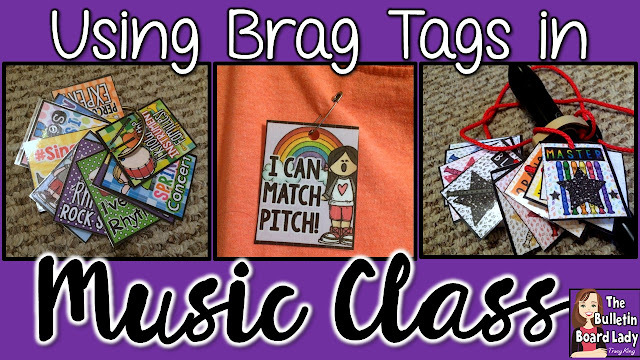 I introduce brag tags on the first day of class, but don't really get too detailed about them until day two of music. During this class period, I'll show them some of the tags that I keep on hand and why they might be rewarded. This is also when I introduce my two brag tag rules. 1. There are no replacement tags. You are responsible for your tag once it is given to you. 2. Don't ask for a tag or you will not get one. Pretty simple, right? I bet I repeated rule #2 a million times! 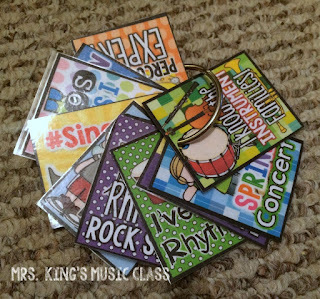 I used reward tags to recognize many different behaviors, achievements and special event sin music class. 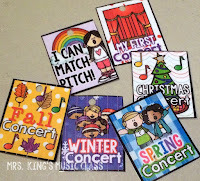 I loved giving out tags for concert attendance and performance. 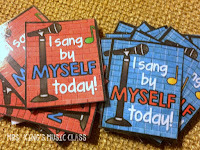 I also used them to recognize singing in tune, keeping steady beat, singing solos, performing difficult rhythms, leading small groups and more. Often I would take 3 or 4 tags and put them up on the board. Then I would remind students that I would be looking for people who were exhibiting that skill or characteristic to reward. This immediately focused student energy to what was happening in class. When the entire school was using reward tags, I would just give out the tags as the students left my room. They would take them back to their classroom and add them to whatever their home room teacher had set up for them. For most classes it was a necklace that hung on their desk or on a bulletin board. For other classes they used a jump ring (as shown in the first picture above). 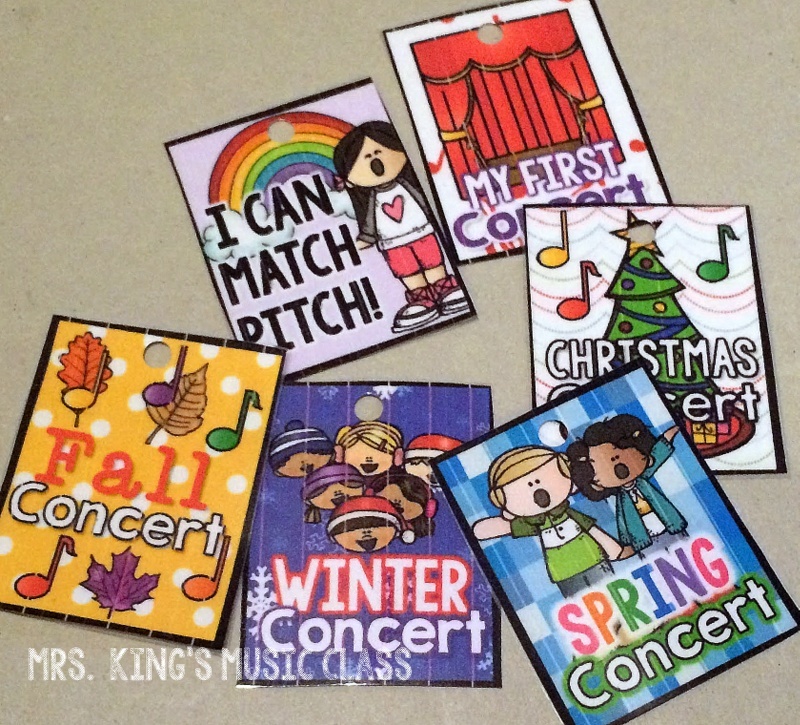 When classroom teachers stopped using them, I had to get a little creative with how students were rewarded and what they did with the tags. My favorite way was to attach the brag tags with a safety pin. This worked great! The older students could put them on by themselves and the younger students were easy enough to pin on their way out of class. A student favorite for displaying brag tags was to string them onto their shoe strings. I thought this was pretty clever! They looked great until...well...until they didn't. *giggling* Imagine recess just after the rain stopped. Yep. Some of the tags didn't last very long. When that happened, I happily referred students to rule #1. 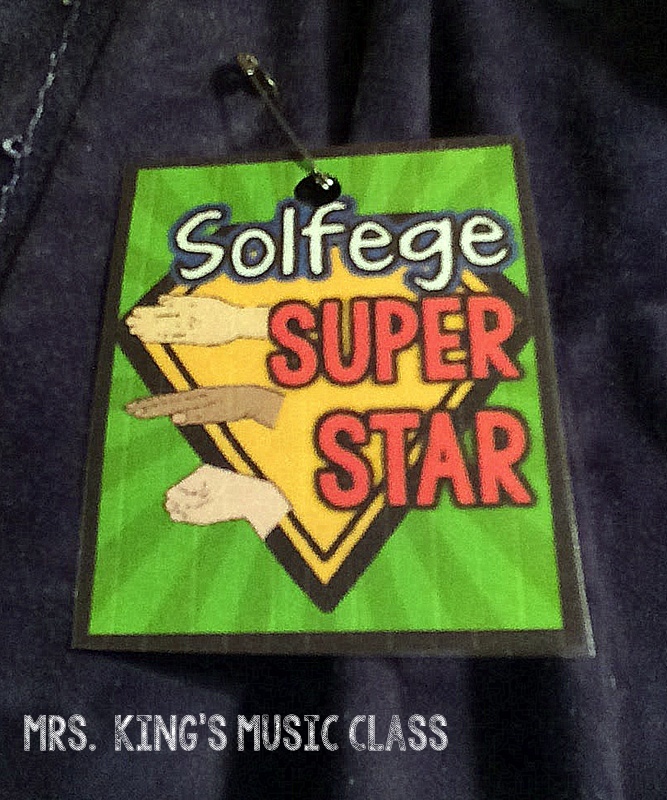 Some students did not want to wear their tag in any fashion, so they would just slip it into their pockets. I was fine with that. Some of them put them in their backpacks, taped them into folders or books. I experimented with giving students library pockets to store their brag tags, but found with hundreds of students that was a little too much for me to keep up with. I kept a box of small envelopes at my desk that students could request if they didn't want to wear them. Most students wanted to wear them, so the envelopes were not used very often. They were also seriously plain, so that might have deterred them as well. 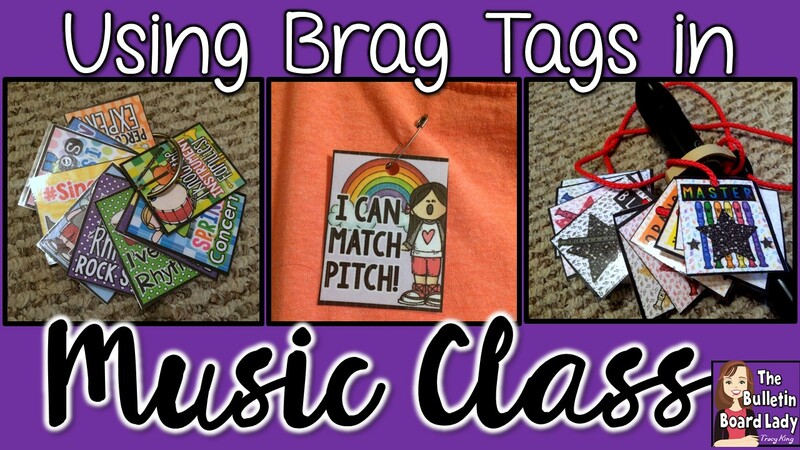 I have a HUGE collection of music brag tags in my store that you may be interested in. 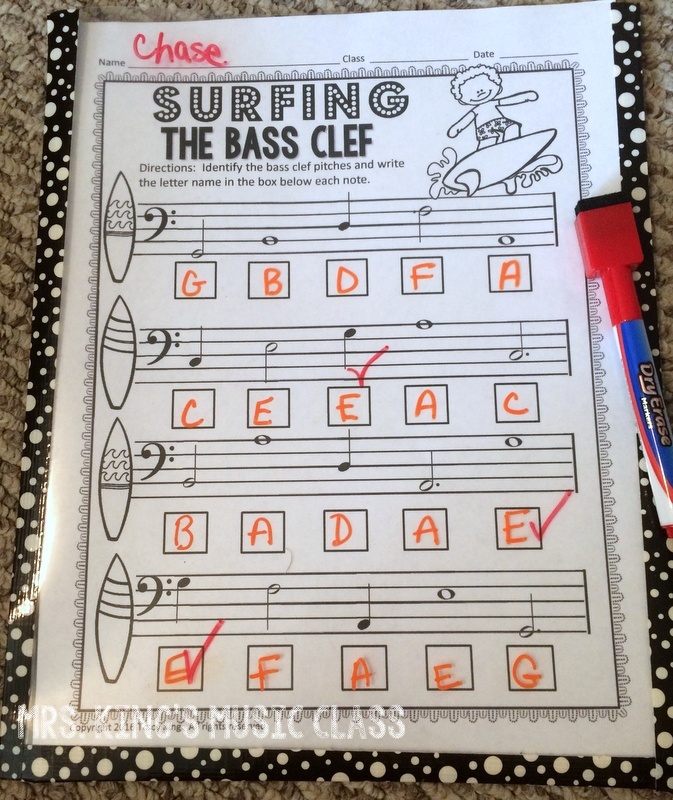 Click HERE to take a look at the Music Class Set with has 75 tags. 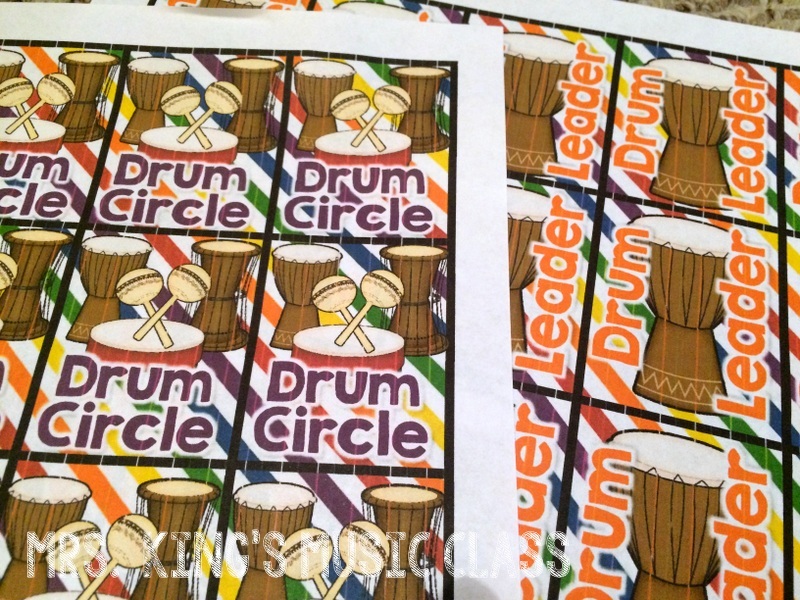 They were designed to be used with a color printer, but a low in version with no background is included as well. 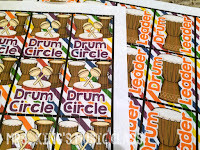 To use them you'll need to print them, trim the edges and then laminate the whole sheet. After they have been laminated, cut them apart. At the beginning of the year, I punched holes at the top of every tag to save class time. 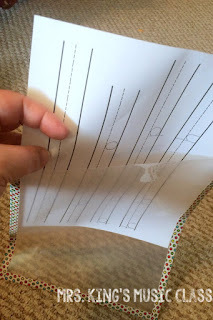 When I printed more copies during the year I usually skipped this step and just kept a whole punch near the tags in my classroom. The start up time can seem a little overwhelming. If you have a teaching assistant, school print shop or a parent volunteer, this would be a great job to pass off! For me, I just picked a show to binge watch on Netflix and laminated the night away. 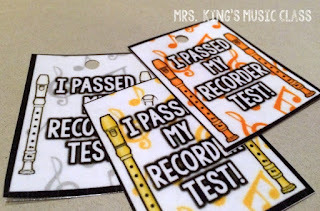 There are brag tags for recorders too! 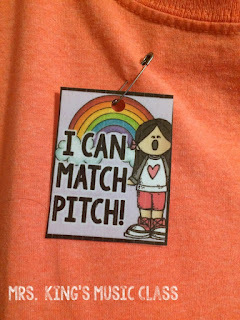 Color tags are included (but do not reference "karate") for white, yellow, orange, red, green, blue, purple, brown, black, pink, turquoise and a master tag with several colors. I use the Peripole Halo recorders with the neck strap so it was easy to thread them on. Students with different recorders used a jump ring to attach them to their cases or backpacks. 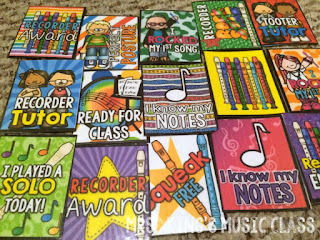 You can get the recorder set of brag tags HERE. 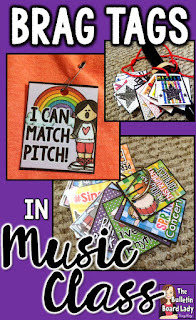 There are many ways to organize brag tags. I must admit that my way is not very creative. I used index card boxes. I put singing tags in one box, recorder tags in another and so on. 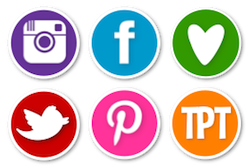 There are many other more innovative ideas out there including pocket charts, photo storage boxes and some brag tag tackle boxes. 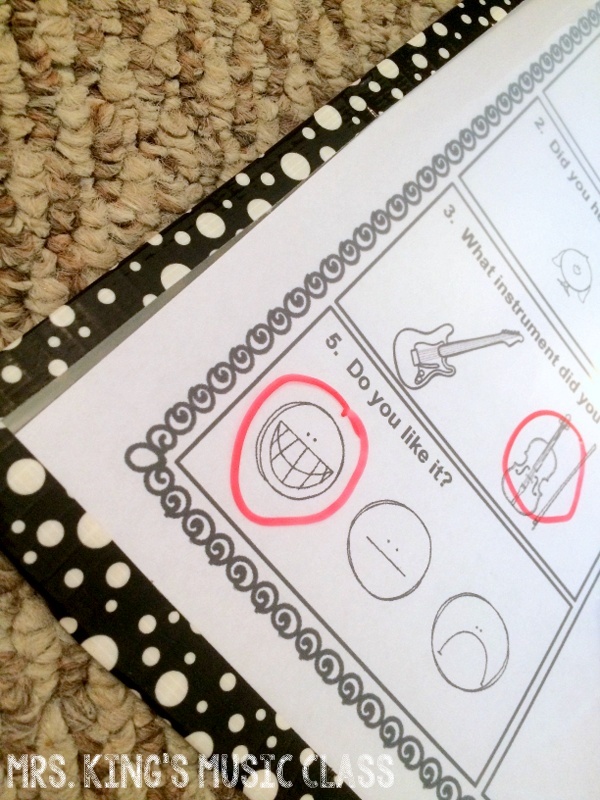 I encourage you to consider adding this fun and motivating behavior incentive system in your classroom this year. Do a little. Do a lot. Do what works for you and your classroom. 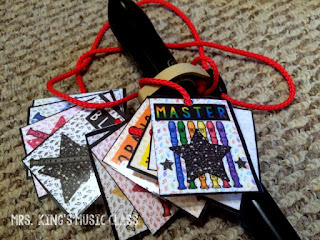 You can get my set of Brag Tags for Music Class HERE and the Recorder Set HERE. I am such a big fan of working in a paperless classroom. 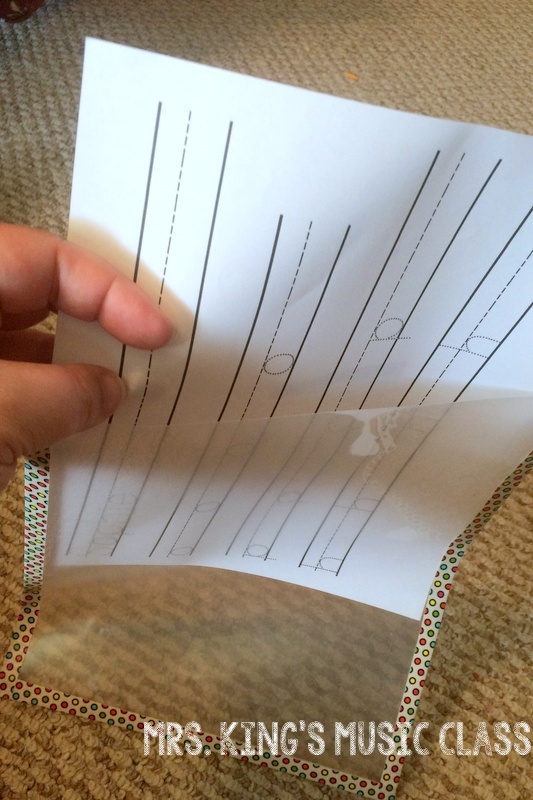 It is not completely possible, but I love to find ways to save paper AND save myself from hours at the copy machine. For the last 10 years or more I've been using lap packs. Lap packs are copies of the treble staff in various sizes, a blank piece of paper and other sheets that I used every day in class. 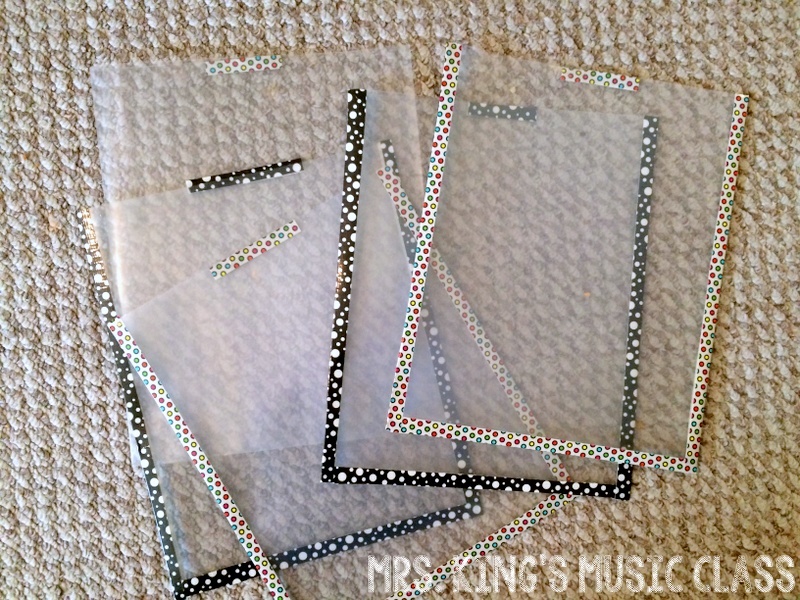 I pop these into a thick page protector and students can use these with a dry erase marker. 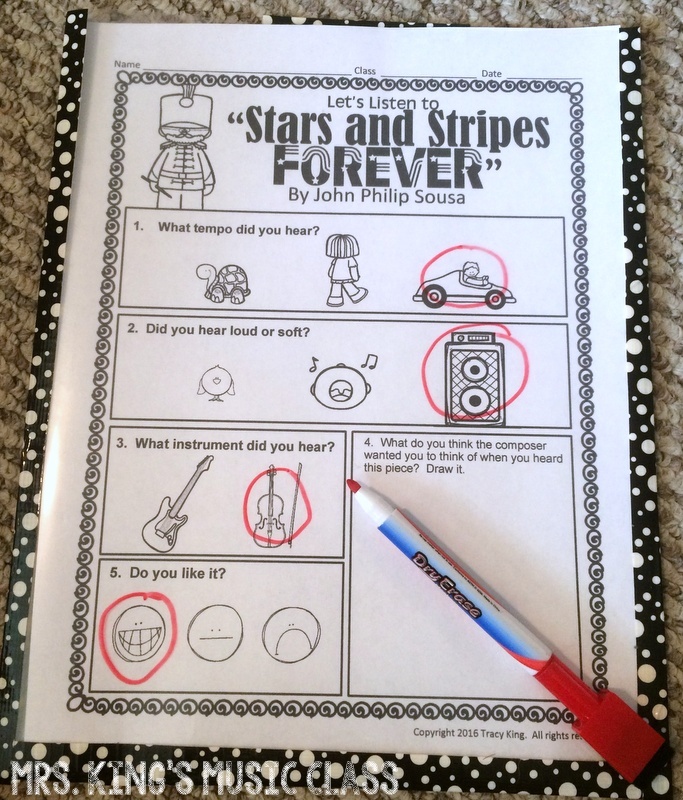 Because I've copied everything on cardstock, they are firm enough to use without a clipboard or table. This led me to thinking about other ways to save paper and eliminate stacks to grade. 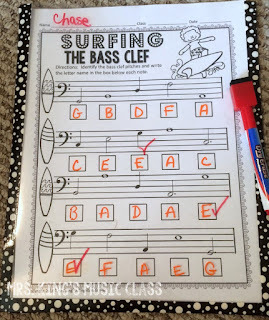 If we are doing a simple assessment, I can walk around the classroom and quickly mark the seating chart with a score while students are working. This is MUCH faster than grading stacks of paper. I started using dry erase pockets for such activities. You've probably seen the pockets on Amazon, Oriental Trading or even in the dollar spot at Target. LOVE them, but since most of my classroom budget comes out of my grocery budget, I needed a less expensive option. Project time! I was able to make an entire classroom set for six dollars. WAHOO! Thick report covers (I like the kind with that little plastic binder edge that you slide on.) This pack was $ .97 at Walmart. Duct Tape -I prefer to use the smaller roll so that less of the cover is covered with the tape. 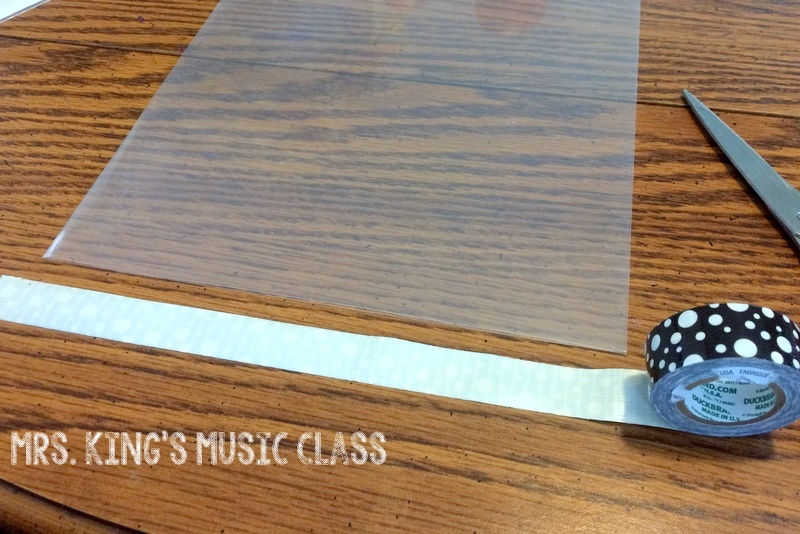 The larger rolls work, but may cover some of the sheets that you put in them. You can also use clear packing tape. It isn't as pretty, but it works well. I had several rolls on hand as I assume most teachers do. I rolled the tape out flat so that I could set the report cover on it. This let me line it up a little better than putting the tap onto the report cover. 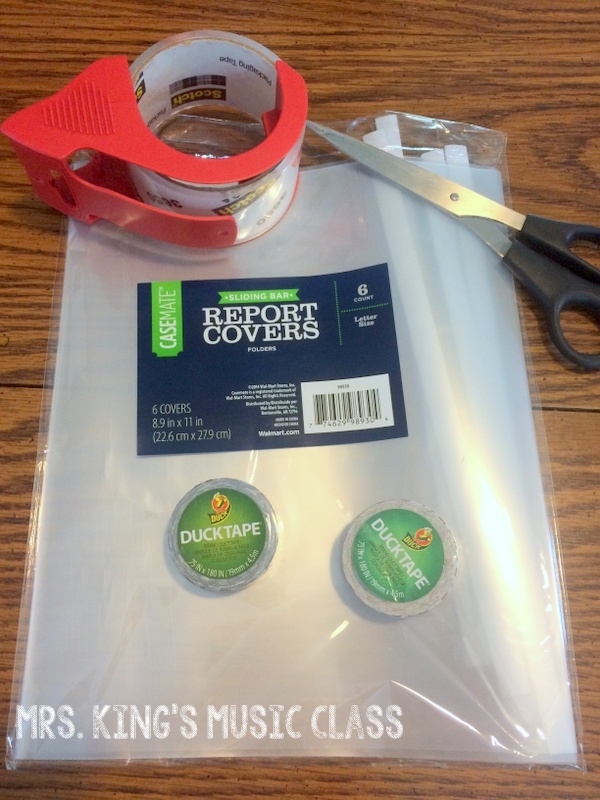 Place the report cover so that it covers about half of the tape. 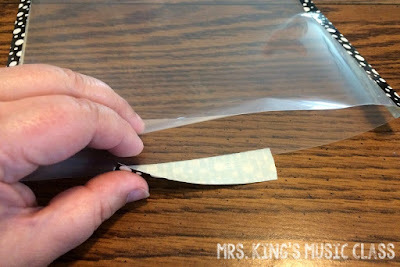 Fold the tape up to seal the edge. 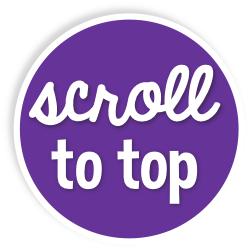 Trim the edges with your scissors. I only taped three of the sides (including the side that isn't open). At the top I wanted to create a little flap so that my youngest learners would be able to load the pocket themselves. Instead of running the tape all the way across, I just created a tab that is a couple of inches long on ONE piece of the report cover. In this way, students can use the tab to open the pocket without my help. 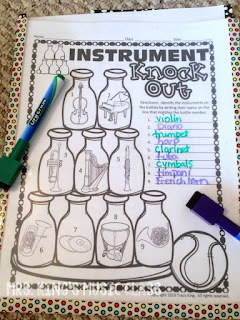 It is much trickier than it seems for some of my younger students. LOVE the way they turned out! I popped some handwriting sheets in so my daughter could try them out. They were definitely easy to use and pretty durable. I had tried using page protectors for this project but did not like that they had holes in them. 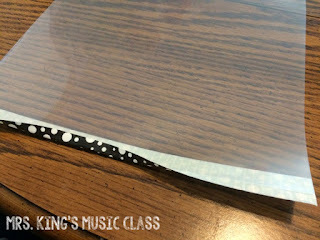 The holes are for using in a binder, which is handy, but my students liked to poke their pencils in the holes and they tore and looked bad. The report covers keep this from happening. I like to use these small dry erase markers that have an eraser on the end. When I don't have them available for workstations I put regular dry erase markers and paper towels or cotton balls there for students to use to erase. 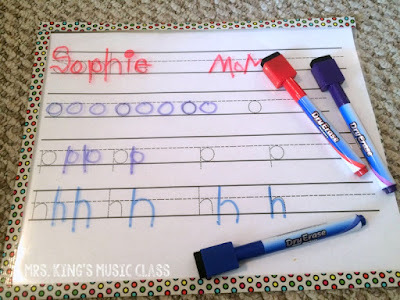 I've seen teachers that hot glue a pom pom on the end of the dry erase marker lid and students use those for erasers, but haven't tried that. If you have, I'd love to hear any tips or ideas you might have for keeping them usable all year. 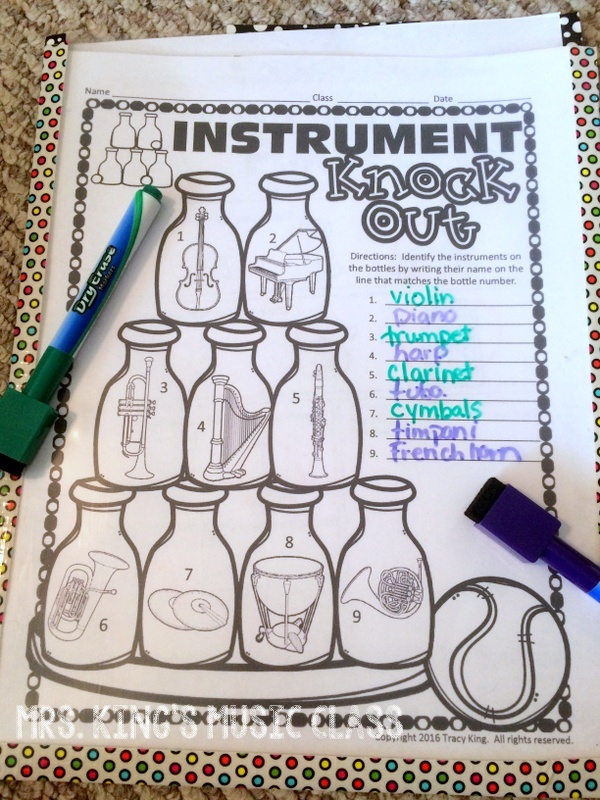 These worksheets are from my No Prep Music Worksheets -Summer. 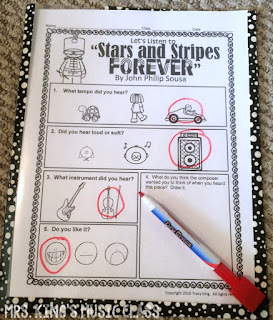 They are great examples of worksheets that I would use in workstations. 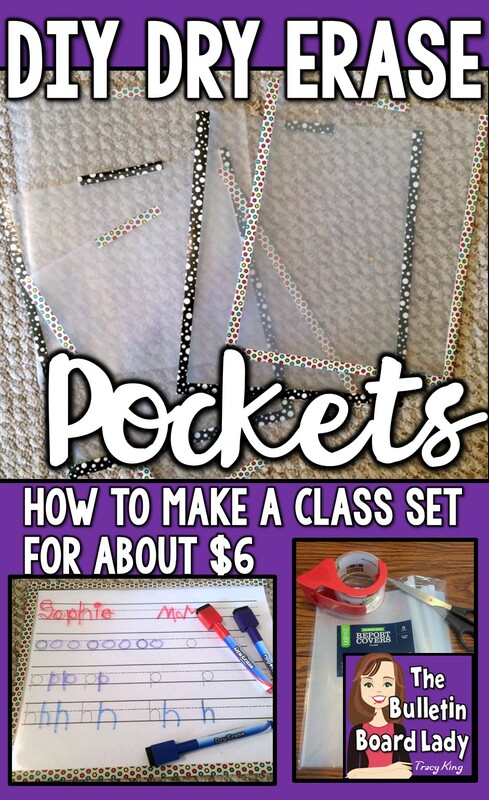 I hope you enjoy this teacher hack and can use it to save some money and create a more functional classroom! Enjoy!